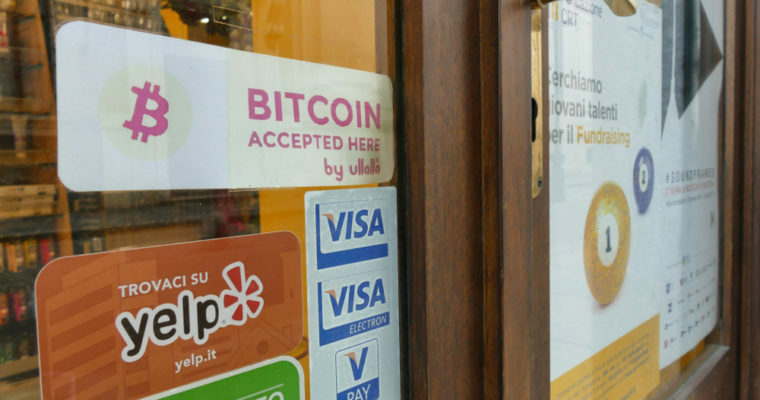 The use case for cryptocurrency and decentralized payment networks was reinforced this week as Visa payments throughout Europe were disrupted, leaving thousands of people unable to pay for goods and services. The BBC reports that people were left stranded — unable to pay for fuel — and in other cases forced to leave restaurants in embarrassment after they couldn’t pay for the meal that they had just eaten. Visa News Europe tweeted about the recent system failure, and the comment thread immediately turned into a discussion about the merits of cryptocurrency. VisaNewsEurope @VisaNewsEuropeWe are currently experiencing a service disruption which is preventing some Visa transactions in Europe from being processed. We are investigating the cause and working as quickly as possible to resolve the situation. We will keep you updated. Visa’s centralized payment processing service usually handles 150 million transactions per day. Like any centralized service, Visa runs on a select group of private servers which provide a single point of failure when compared to a decentralized network like Bitcoin or other cryptocurrencies. Decentralized systems run on nodes distributed in multiple locations, often internationally, and the system becomes more secure and in less risk of failure as more nodes join the network. Bitcoin has been 99.99 percent operational since it’s launch in 2009, and blockchain networks theoretically can operate indefinitely without downtime. TREZOR @TREZOR#Visa is down. Not a problem. 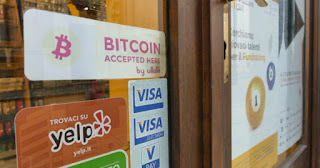 We have #Bitcoin . The trade-off, of course, is the scaling issue faced by blockchain networks. The network requires all nodes to update for a transaction to be verified, and with more and more transactions to process and often permanently record, things can and do slow down leading to longer waiting times and higher transaction fees. However, the last few years have seen a surge in adoption of blockchain technology and innovation in the space as well. Twelve out of 26 major Chinese banks adopted blockchain technology last year with many other major financial institutions following suit and low-cost, instant cross-border payments being made successfully between different currencies and nations. Billions of dollars are being raised for industry projects and state-run facilities have been established in many nations for blockchain research and development. There are also multiple projects with expert blockchain developers working on scaling solutions. Bitcoin forked over a disagreement in scaling solutions in 2017, with BTC developers working on the second-layer off-chain solution called the Lightning Network to allow certain processes to take place outside of the main blockchain to reduce congestion. The BCH developers have increased block size for the same reason, and other projects are working on their own version of scaling technology. There are many different types of cryptocurrency supporters. Some people are purely in it for the financial rewards, while other advocates believe that cryptocurrency will allow them to live outside of the established systems outlined by their financial and legal authorities to transact freely peer-to-peer without fees or oversight. Others still believe that the technology will eliminate those systems altogether, revolutionizing society by breaking the hold of financial institutions on the personal and financial freedom of the common people. Regardless of which camp you’re in, it seems clear that as we enter an era in which cryptocurrency is competing with mainstream centralized financial institutions, the new technology should, at the very least, help break the monopoly those institutions have and force them to offer better services with more agreeable terms or risk being left behind in the inevitable march of progress.